A fully paid off homeonce a quintessential part of the American dream, its becoming far less popular among a new generation of retirees. A fully paid-off home—once a quintessential part of the American dream, is becoming far less popular among a new generation of retirees. In lieu of the stability and security home ownership (supposedly) provides, more and more retiring Baby Boomers are choosing the convenience and flexibility of apartments and condominiums. In fact, a recent study by Harvard University’s Joint Center for Housing Studies found that rental rates steadily increased among seniors aged 55 to 75 from 2004 to 2013, and that the 75 and older crowd was the only group to see it drop. What’s more, many if not most of these older renters are former homeowners. A Rent.com survey of apartment managers actually found that 29 percent of Americans transitioning from home ownership to renting were between the ages of 50 and 65. The housing and construction markets reflect this trend. Another Harvard study found that between 2010 and 2011, construction of new multifamily homes increased by 54 percent, while it actually decreased by 8.6 percent for single-family homes. Even between 2011 and 2012, when single-family home construction picked up by 24.3 percent, new multifamily home construction still outpaced it at 37.7percent. From fresh-out-of-college millennials to recent retirees – and despite still historically low mortgage interest rates – renting is becoming more far more popular for everyone. Why would a couple with 100 percent equity in their home want to sell it? “We’ve been taught that your home is your biggest asset…people are beginning to realize that’s a fallacy,” said Mike Chadwick, CEO of Chadwick Financial Advisors. “Today, just to keep a home alive is a person’s biggest expense.” While certain homes in certain areas are be cheap to live in and maintain, the costs of home ownership are far greater than what they used to be. Taking taxes, home owner association fees and maintenance into account, monthly rent payments are often cheaper than the yearly costs of even a paid-off house. 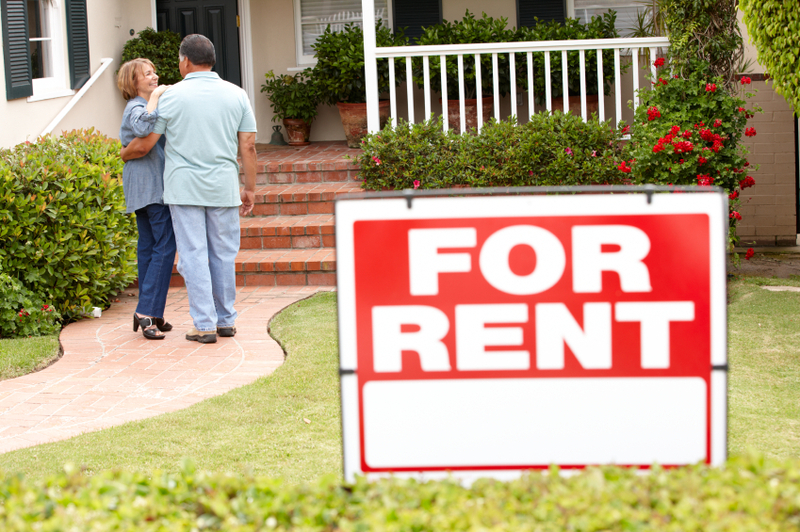 Renting also becomes even more financially attractive when you consider the money to be made and invested after a sale. “People in our business should be looking more at the financial comparisons of where home equity can be used,” said Chadwick. “You might have $400,000 in equity, but that home isn’t making you any money. Sell the place, put that equity to work making four to five percent, and pay for your lifestyle.” On top of an already robust portfolio of retirement accounts, annuities and life insurance, a substantial home sale can significantly upgrade a couple’s lifestyle. Aside from the financial considerations, quite a few retiring Boomers just want to avoid the hassles and headaches associated with home ownership. “One of the biggest advantages of renting is really the convenience factor,” said Niccole Schreck, Senior Brand Manager for RentPath. “An apartment can be an excellent opportunity to downsize and have amenities and be in a great location.” Save for seniors well-connected to contractors – and those with crews of their own – maintenance and repairs can become a real hassle. Still, there are certainly compelling reasons why some retiring Boomers will want to hold on to their homes. For starters, renting doesn’t always mean downsizing, at least not in financial terms. “In some places you can find condos with fees of $250 per month, but in some places you’ll have association fees as high as $1000 per month,” said Chadwick. Convenience comes at a price, as seniors seeking to live maintenance-free in upscale neighborhoods will find out. Combined with the rent of a nice apartment or condo, those fees can far outweigh the upkeep costs of a house. While many Boomers want to take it easy in retirement, there are also plenty who love to tinker and toil on their homes. Maintenance and construction fees can get ugly in a hurry, but that won’t always deter the DIY retiree. Last but certainly not least, there’s the psychological aspect of home ownership. “For some people there’s just a sense of stability that comes with owning a home,” said Schreck. “People like to think the money they’re spending every year is going towards something.” Even if the same money could buy arguably better amenities and free up time, some retirees would still rather stay invested in the homes they’ve cultivated throughout their working lives. With all of the options and price ranges available, the decision to rent or own really comes down to the preferences of each retiree. “It’s just a function of where they are in life and where they want to be as they enter the next stage,” said Chadwick. Of course, one goal that’s far easier to achieve while renting is mobility – something more and more Boomers seem to want. In another Rent.com survey, only 28 respondents aged 48 to 67 cited proximity to family as the most important factor in determining where to live, as opposed to 45 percent for respondents 67 and older. For younger retirees who want to move seasonally, travel often or even uproot multiple times during retirement, renting is usually more feasible. Once a couple has made the choice to sell their home and move, picking the right type of rental property is essential. “I urge them to stay away from the larger complexes,” said Chadwick. “Their rate increases are much larger, while complexes owned by families and smaller companies tend to keep rates low to hold onto their tenants.” For a retired couple on a fixed income, higher-than-inflation rent increases could make even a modest apartment too expensive to keep.